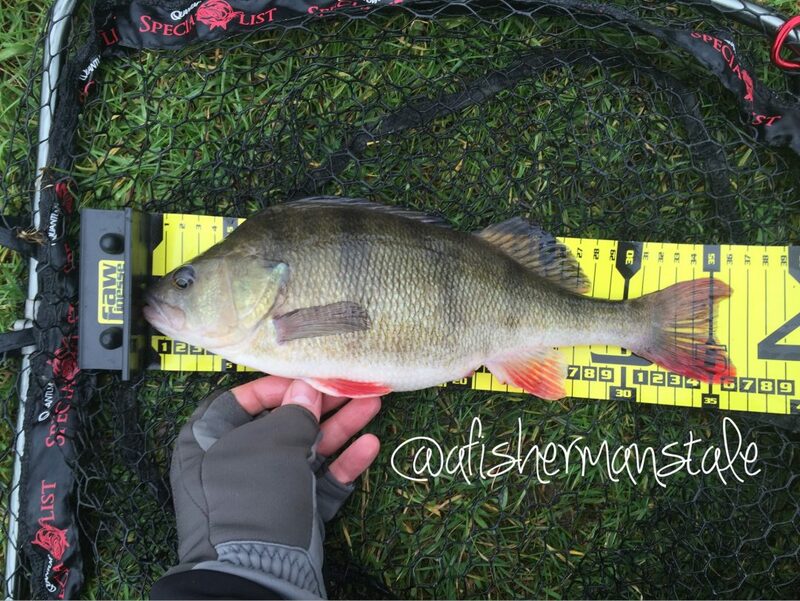 Following my January entry here is my tale of Perch Fishing Feb 2016. During February I was able to go fishing on three occasions. All during the weekend and all on the same stretch of canal. This is a stretch that has done well for me in the past and I enjoy going because I can count on landing something, even if it is only a tadpole of a fish. In my January post I said that I had done well by fishing skirted jigs dragged and hopped across the bottom of the canals, well that did not work so much for me in February. 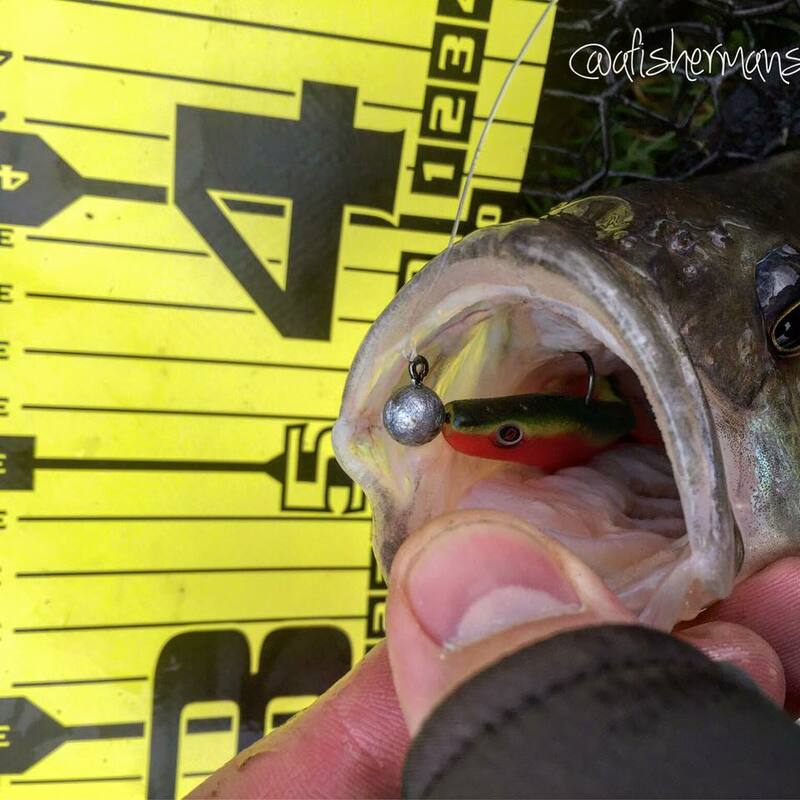 On my first trip I was able to get a tiddler to bite early in the morning using this method but found that when I changed up to a moving swinbait/shad I was able to increase the bites and land more fish. This was especially evident in my second and third outings where I tried the skirted jigs. Even my favourite Quantum mini-jig in fire tiger did not get a sniff. My thought process was, well if we have had such a mild winter could the fish already be moving into their spring patterns? I made a change up to a smaller profile shad type bait to cover more water as the fish were probably dispersing from their winter holes in search of optimum spawning grounds with ample food sources. 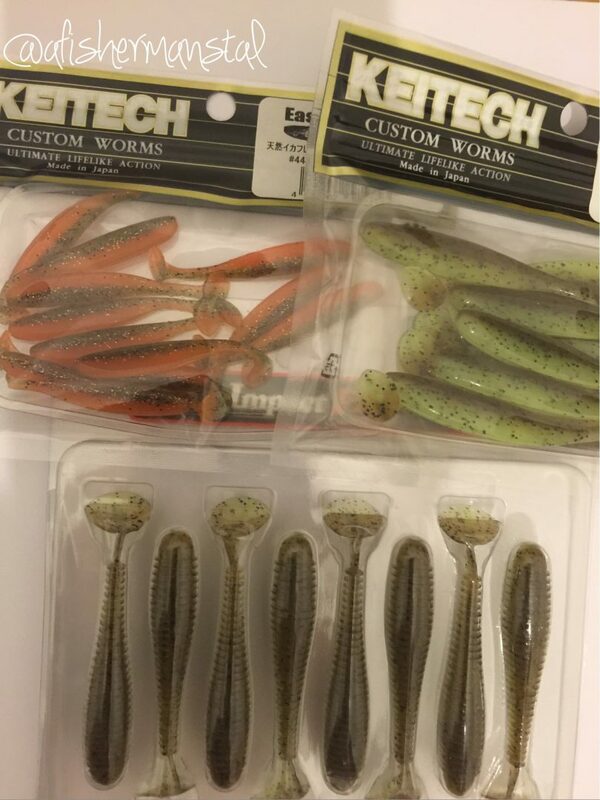 I tried a few different lures, underspins that I brought in from Tackle Warehouse in January specifically for perch fishing in spring, new Keitech Swing impacts from The Lure Box and Quantum Salty Shat’rs on the new Twitch Jig all to no great success. Had the fish really disappeared? No surely not! I just needed to make some more adjustments to find what they wanted. 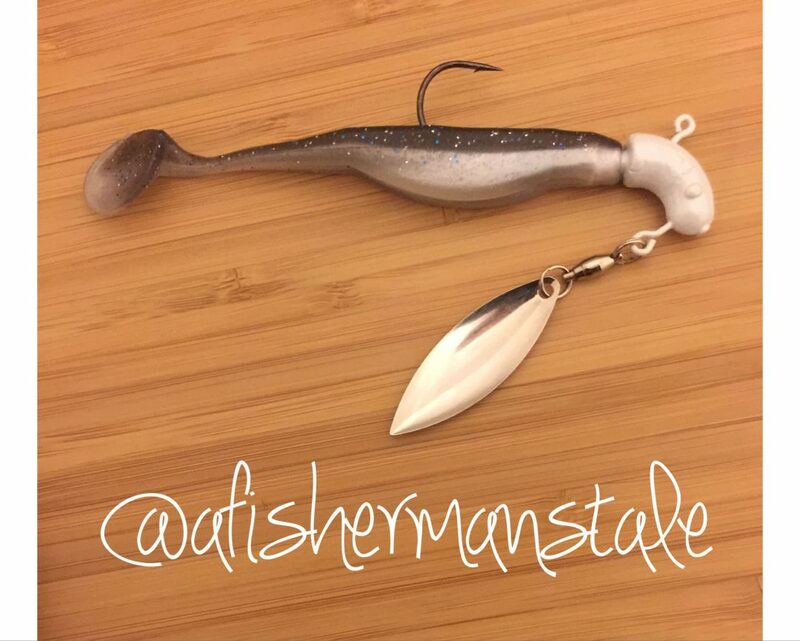 A lure I had not used for a while on purpose because It is all I could ever use for a period of time is the Quantum Battleshad. 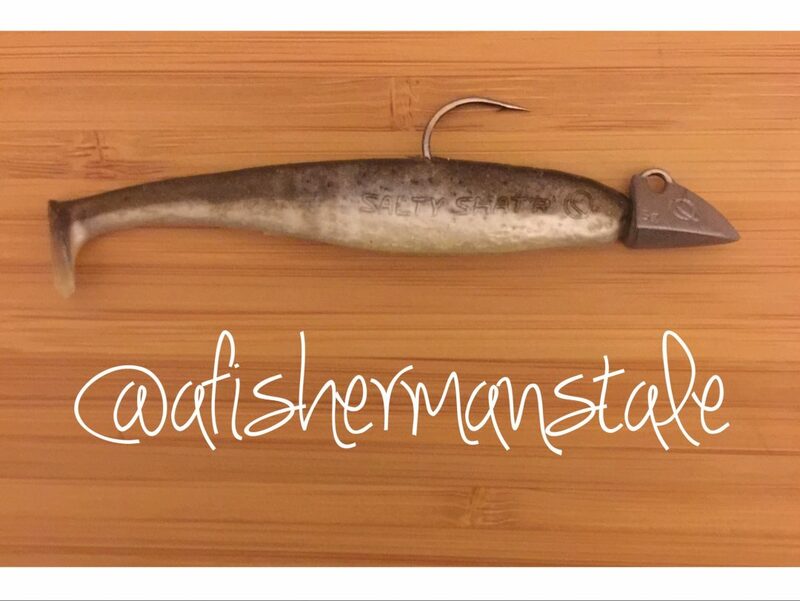 Specifically the 8cm version in Ara pattern, I tied one on with a 3.5g jig head and had a couple of casts. Well over these two sessions I landed several hard fighting fish biggest just over 2lb and 37cm in length. I think what made this work for me is I could keep the shad working ultra slow in mid water with the big paddle tail ensuring a really slow drop on the light jig head and by casting tight to reed beds on the opposite bank and then slowly retrieving with the odd pause this is where the the bites came from. 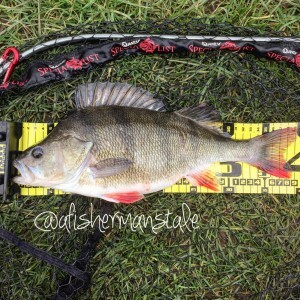 I will also mention that the bites I had were more positive than the ones I had in January and it was evidenced by the way the perch were engulfing the whole 8cm shad. 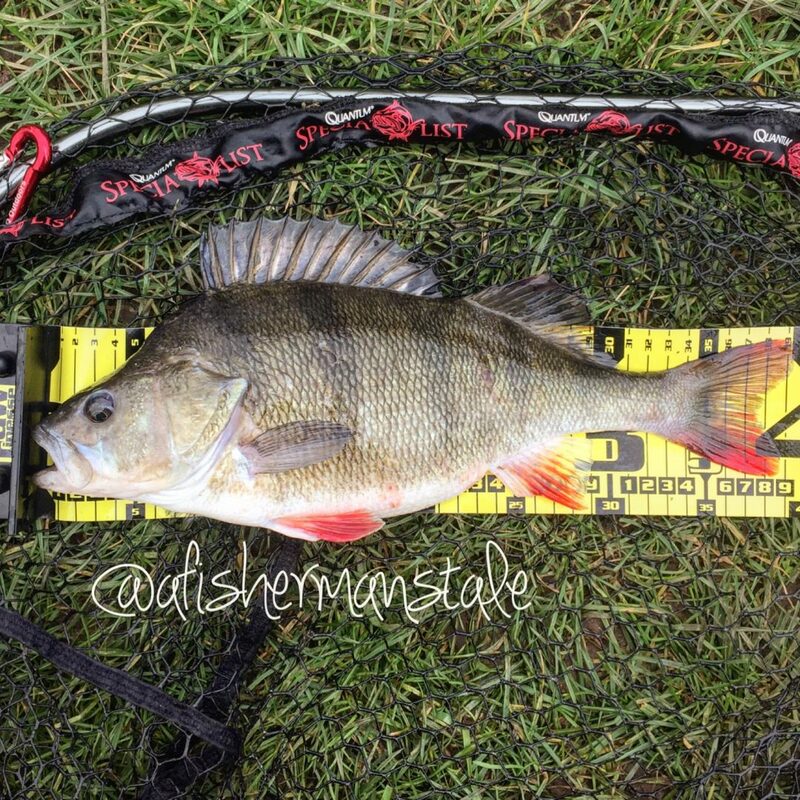 I noticed that when hooked these fish were fighting a lot harder than the ones I caught in January and Perch Fishing Feb 2016 has been better overall than the previous month. Is this because they are starting to display signs of early spring behaviour? It will be interesting to see what happens to their behaviour during March when we should start getting a few warmer days again. 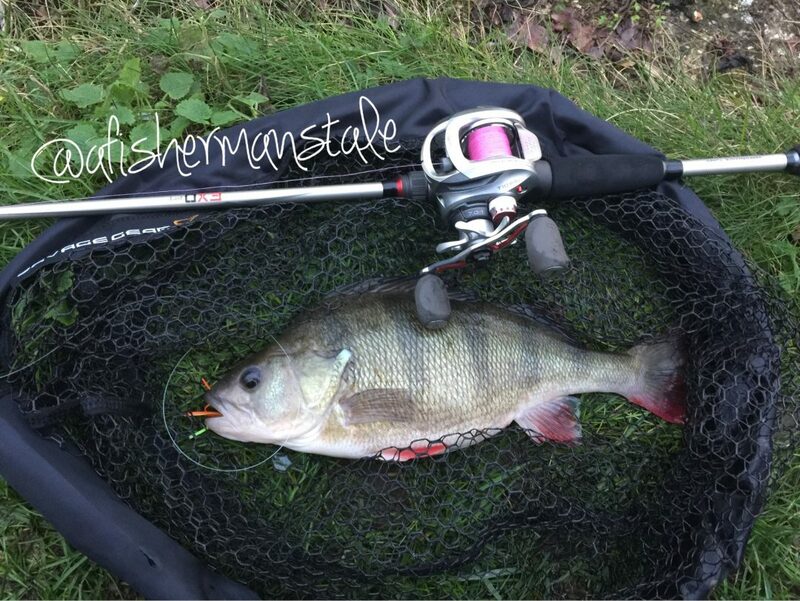 On my local canal, the Bridgewater Canal in Greater Manchester, I have noticed that between October and April the perch seem to just disappear and the number of blanks I have on the lure are soul destroying. 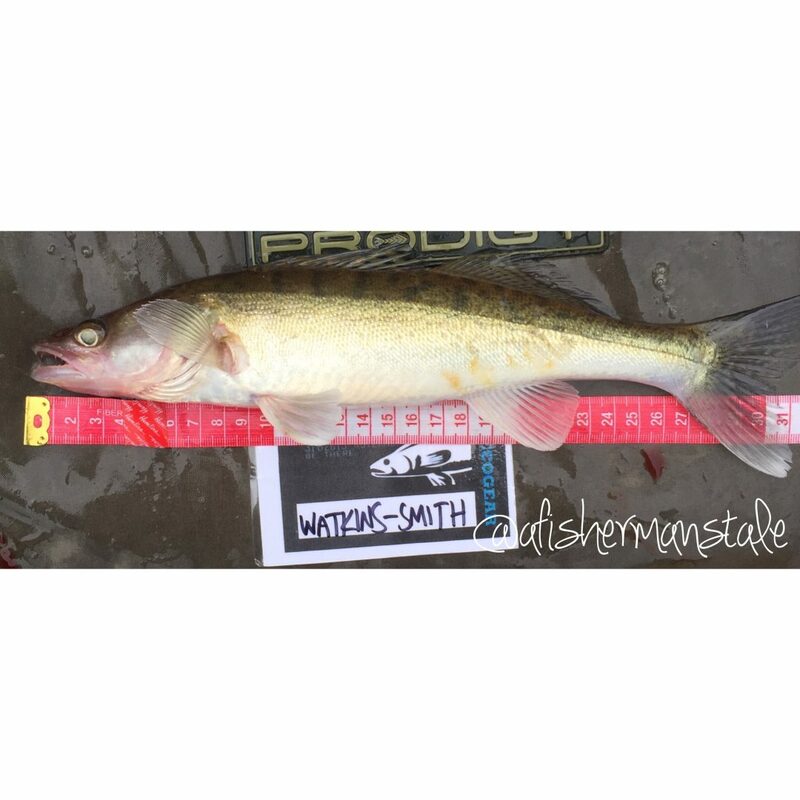 It’s a completely different story between May and September when I catch loads of lure caught perch. I just wish I knew where they all got too, because I’d go there too. You and me both! Similar situation to the GUC stretches that I fish but I really only notice the difference between December and end March. When I start to see the normal bite dry up I target the areas that have deeper water such as boat docks, boat turning holes or overflows. 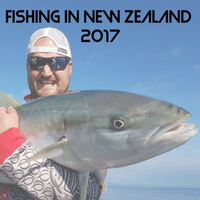 This also saves me time because I am only fishing those very specific areas and not targeting every bit of structure I come across. Google maps helps with finding these areas. Keep your presentation dead slow be that on a jig or dropshot these fish are so lethargic during these colder months.